A freshly-restored alley near the 4500 block of 43rd Place NW, which was constructed during AlleyPalooza 8. 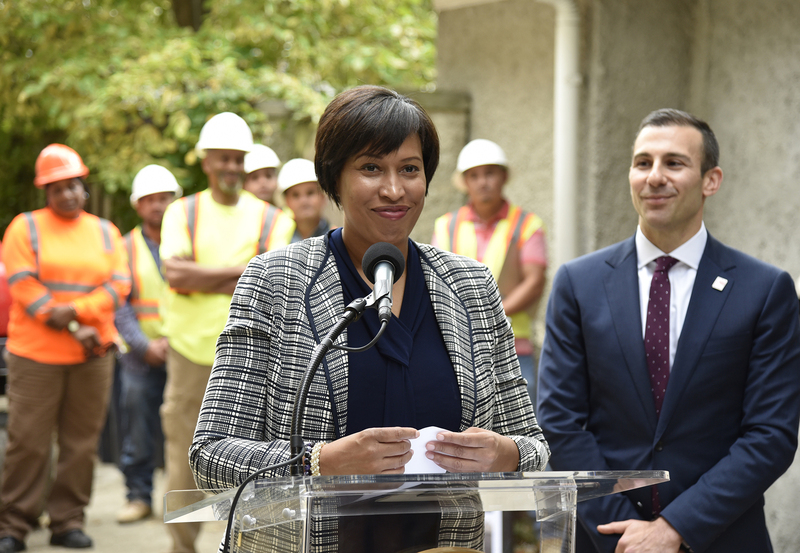 Mayor Muriel Bowser’s AlleyPalooza initiative, an ongoing campaign to improve the District’s alley system, has restored or repaired more than 500 alleys in the city since the program debuted in July 2015. The most recent installment, AlleyPalooza 8, kicked off on November 2. As of December 6, DDOT has completed 26 alleys this AlleyPalooza season, bringing the total number of alleys restored or repaired under the Mayor’s program to restore the District’s alley network to 512. Mayor Muriel Bowser, Director Jeff Marootian and DDOT staff launch the AlleyPalooza 8 campaign on November 2. The Mayor’s investments in the District’s alleys have been substantial. 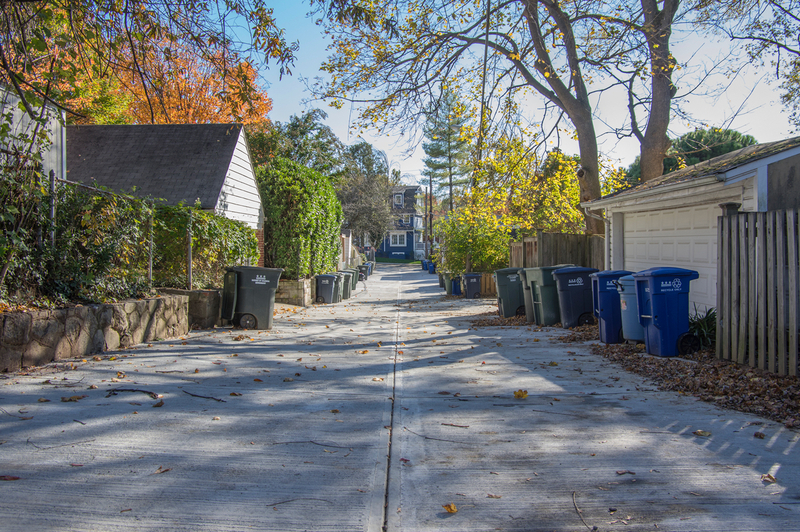 From FY 2015 to FY 2018 the District has spent an average of $17.1 million per year on repairing the city’s alley system, which is a 270 percent increase over the average allotment for alleys during the previous four fiscal years ($6.3 million per year from FY 2011 to FY 2014). Below is a look through some of the alleys that were renewed as part of AlleyPalooza 7, which began on June 11 and encompassed the renovation or repair of 65 alleys throughout in the District. To keep track of our AlleyPalooza efforts, please visit our PaveDC website.